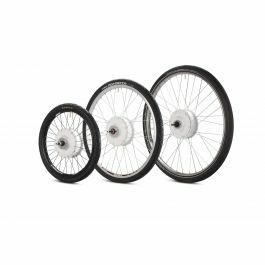 The Smart Wheel can transform your simple bike into a pedal assist e-bike in a matter of minutes. You set it up, connect to the smartphone app and you are ready to go. The options you selected are not available. ATTENTION: delivery time may vary depending on availability of the product. Hybrid electric motor. Pedal assist. Max speed of 25km/h. It charges itself pedaling backwards. If you need info or help from our side, or if you want just to say Hello! 👋 , please drop us some lines at hello@flykly.com we will happy to get in touch with you.